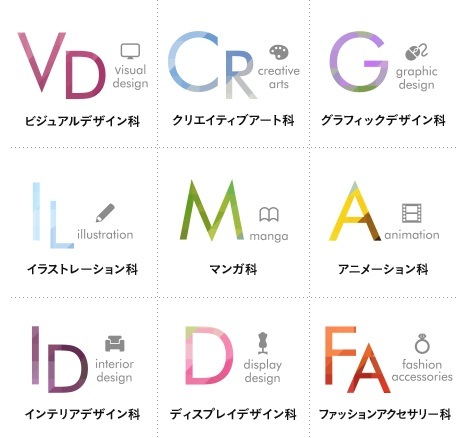 The Tokyo Design Academy (TDA) has been producing creators for more than fifty years since their founding in 1966. Over its long history, the school has accumulated a considerable amount of educational know-how in the areas of design, manga, and animation. And through their rich curriculums and support system, TDA helps beginners grow into professionals. 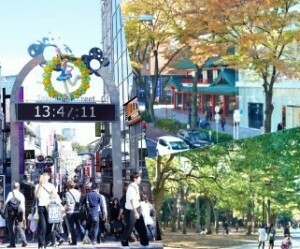 The campus is located in the world-famous Harajuku. The Harajuku district brims with creativity and is an ideal environment for those who aim to become creators. The many foreign students (mainly from Asia) at Tokyo Design Academy give the campus a true international flavor. 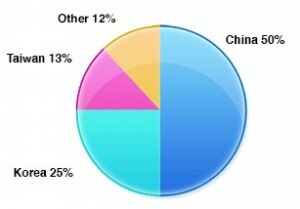 20% of total student population is from overseas. An International Student Party is held in April right after the start of the school year. 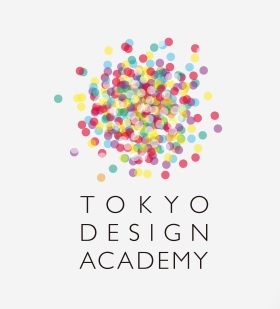 Tokyo Design Academy has ‘International Student Support Center’ that the foreign students can use to have a deeper understanding about TDA’s education system. At the International Student Community Center, full-time personnel collaborate with TDA’s homeroom teachers to help each students choose the perfect occupation and career path to fulfill their hopes. TDA also offers Japanese language class for international students. For those aspiring to be directors with all-around involvement, from graphics to audio-visuals. This department teaches all aspects, including web design, to the planning and production of advertising posters and packaging. Become an artist in demand by the times! Learn a variety of techniques for artistic expression to find your own style. For those aspiring to be a print media designer or web designer! This department focuses on the design of advertising materials, advertising design, package design and web design. For those aspiring to be illustrators with a talent for creating designs for a wide variety of fields. You will learn techniques for all aspects of illustration, such as real illustration, character design and the creation of picture books. For those aspiring to be full-fledged story board artists and comic illustrators. You will learn the depiction and storytelling skills necessary for creating comics, through producing a large number of works. In combination with this, you will also learn techniques for producing digital comics. For those aspiring to be animators and art designers. This department nurtures animators, character designers and art designers, who are active in the television and film industries. It teaches not only the basics of production, but also develops the necessary skills such as drawing and creativity. Learn about interior design & coordination and residential design techniques. This will include learning about interior design and interior coordination mainly for residences, learning residential design techniques equivalent to second-level architects, and furniture and light arrangement and commercial spaces. Learn about commercial space design and production. You will be learning how to design, decorate, produce, and plan for various commercial spaces such as shops, showrooms, exhibitions, shop windows, stages, theme parks, and more. There are no school departments in which students are able to learn display design expertly except TDA. Learn how to design jewelry, accessories, fashion items and interior goods. This will be a comprehensive course focusing on handmade manufacturing techniques, designing abilities, and coordination abilities. * The Third Year payment only applies to three-year Visual Design Department and Creative Art Department courses. Kindly note that students have to pay for extra materials fees (Painting tool, A drafting Machine, Macintosh, etc. …). The fees will be different depending on the department which you chose. Please inquire for a more detailed breakdown of costs. 1．Completion of 12 or more years of formal education. *Please consult with us if you completed an 11-year program. (a) At least 6 months continuous study with satisfactory grades and attendance at a Japanese Language school or other facility certified by the Association for the Promotion of Japanese Language Education. (b) Qualification of N1 or N2 of the Japanese Language Proficiency Test administered by Japan Educational Exchanges and Services or the Japan Foundation. (c) A minimum grade of 200 points in listening comprehension, listening and reading comprehension, and reading comprehension on the Japan Student Services Organization’s Examination for Japanese University Admission for International Students “Japanese as a Foreign Language” test. (d) Those who have had education for a full year or more in a school specified in Japan’s School Education Act Article 1, excluding kindergarten. 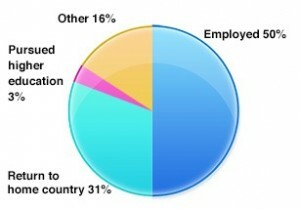 3．Proof of financial support to cover tuition and living expenses while studying in Japan.